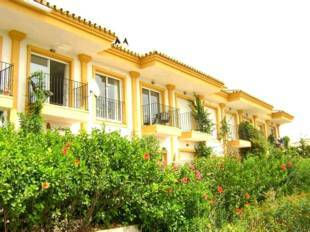 Townhouse, Urbanization, Furnished, Fitted Kitchen, Pool: Communal Pool, Garden: Community, Facing: East Views: Mountains, Sea. 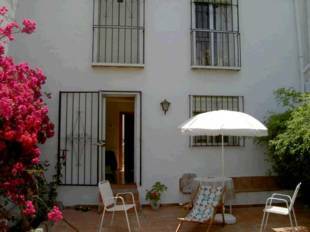 Townhouse, Urbanization, Furnished, Fitted Kitchen, Parking: Community, Pool: Communal Pool, Garden: Community, Facing: West Views: Mountains, Surrounds. Features: Close to all Amenities, Condition – Good, Fitted Wardrobes, Living room with dining area, Popular Urbanisation, Renovated bath, Roof Terrace, Sunny terraces, Walking Distance to Rest., Walking Distance to Shops, Walking Distance to T. Centre. First line beach townhouses development near Estepona town. 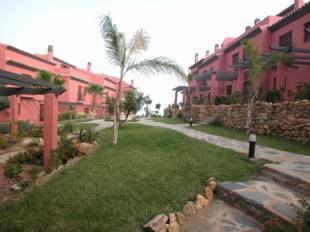 The complex enjoys beautiful communal gardens with swimming pool and direct access to the beach. Close to services and amenities. Townhouse completed in 2003, 3 bed, 2 bath, open fireplace, fully fitted kitchen, marble flooring throughout the house and fully furnished. Wonderful views of sea & front line golf course and a fabulous swimming pool with private parking, brand new community gates to be fitted. 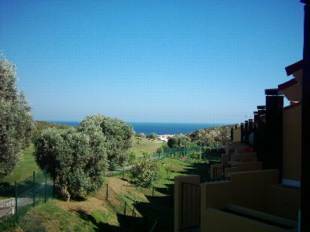 Townhouse, Urbanization, Fitted Kitchen, Parking: Private, Pool: Communal Pool, Garden: Private and Community, Facing: South Views: Sea, Vineyard. Features: Charming Property, Close to all Amenities, Close to schools, Completely Equipped Kitchen, Covered Terrace, Double Glazing, Easily maintained gardens, En suite bathroom, Excellent Condition, Fitted Wardrobes, Living room with fireplace, Marble Floors, Near Transport, Penthouse, Private Terrace, Roof Terrace, Sunny terraces, Telephone, Walking Distance to Rest., Walking Distance to Shops. Semi detached. Urbanization, Fitted Kitchen, Parking: Private, Pool: Communal Pool, Garden: Private, Facing: Southeast Views: Sea. 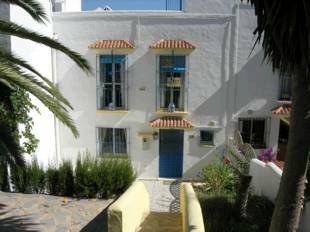 Features: Charming Property, Condition – Good, Covered Terrace, Easily maintained gardens, En suite bathroom, Fitted Wardrobes, Living room with fireplace, Marble Floors, Popular Urbanisation, Storage in basement of 30m2. Communal pool for 5 house only.